Recreate the thrilling Wizard’s Chess battle from Harry Potter and the Sorcerer’s Stone! 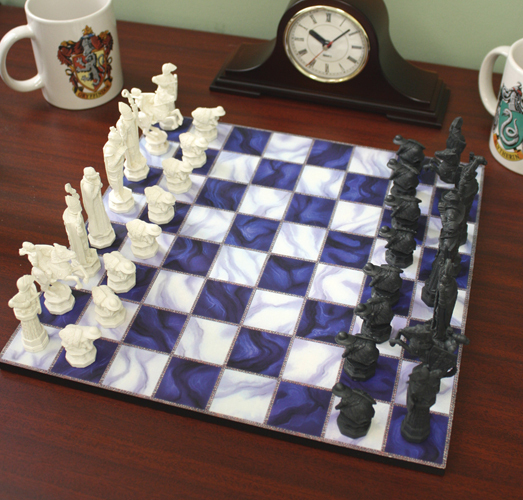 This deluxe chess set is an exact miniature replica of the life-size board that Harry and Ron face. Each piece is cast in resin and finely detailed. The solid wood board has a marbleized look to match the blue-and-white board in the film. Board measures 12×12″ and pieces range up to 3″ tall. A magical game for wizards and muggles alike!